Here we are introducing this gorgeous Tv unit coming originally from the Gatsby Collection. 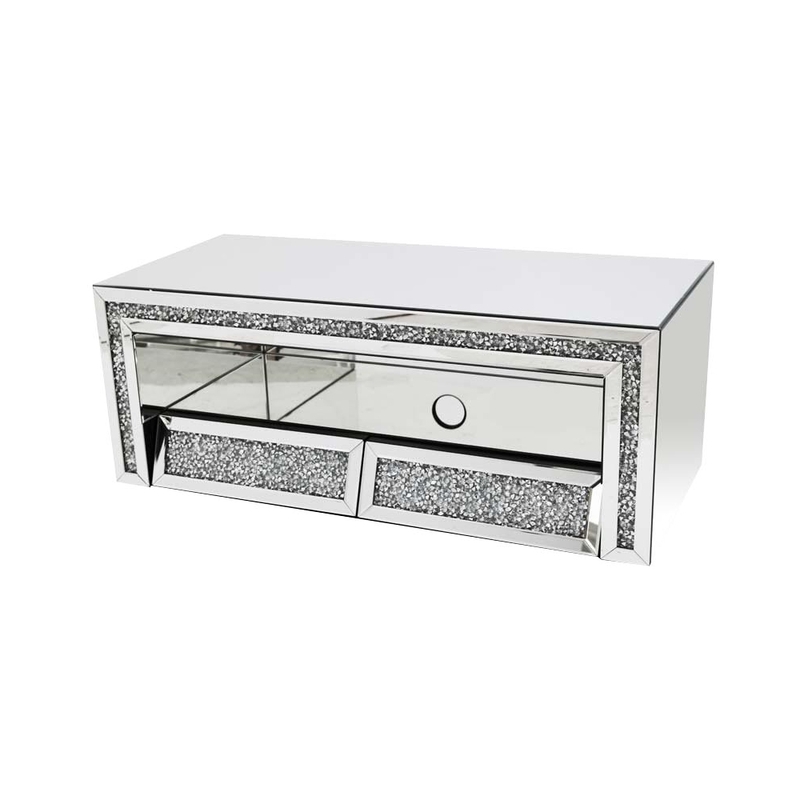 This gorgeous mirrored piece of furniture has a lovely diamond like crystal finish on the front of this stunning piece. Furthermore by adding this outstanding unit to your living room or bedroom it is a great way to decorate if you are going for a modern and contemporary look.